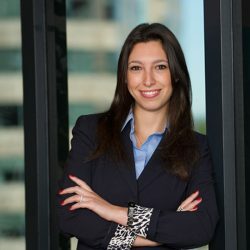 Tiffany Halimi is an associate in the tax and estate planning practice at Clark & Trevithick. She handles a wide array of trust and estate matters, ranging from drafting succession documents, such as wills and trusts, to administering trusts and probates. Specifically, Tiffany’s practice includes experience in planning for high net worth individuals, including the preparation of revocable living trusts, irrevocable gift trusts, insurance trusts, and other sophisticated wealth transfer instruments.